The City of Chicago released a statement today about its plans to help the chronic homeless, including those living under the Lake Shore Drive viaducts, find housing and services. The Task Force will focus on four broad priorities. First, it will work on streamlining contracts and services provided by the City and its sister agencies and invest any savings in improved service delivery. Second, it will launch an effort this year to provide critical housing and services to the chronically homeless residents. Third, it will develop a plan to reduce homelessness among families with children. And lastly, it will advocate for additional resources for homelessness to make up for recent funding cuts from the state and federal governments. 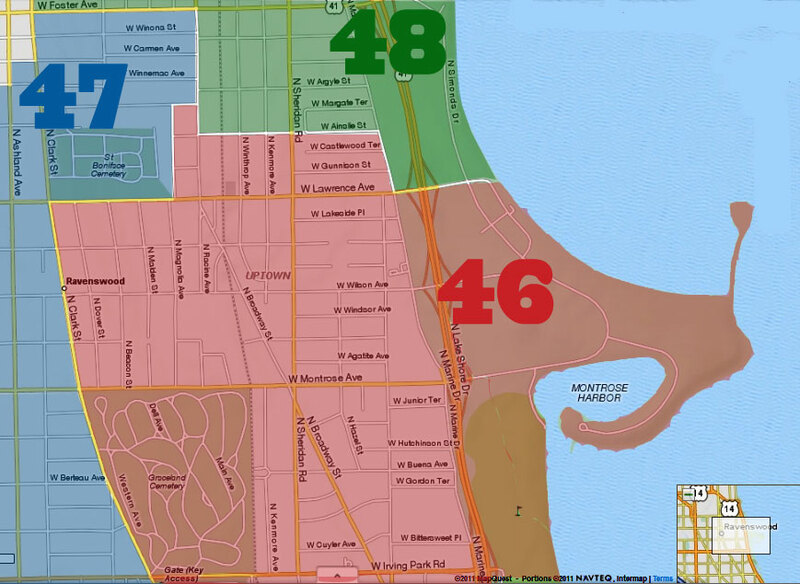 "I am pleased that Mayor Emanuel has directed necessary resources that include this task force to address the needs of individuals and families experiencing chronic homelessness," said 46th Ward Alderman James Cappleman. "My number one goal for our homeless population is to provide them with greater access to permanent housing with wrap-around services, and I look toward this task force to create a plan of action that will make this happen." Here is the entire press release on the City's website. You know, there was an effort in NY state to get the homeless off the streets in the winter time, when temps fell below 30 degrees. And the police were instructed to get them off the streets and into shelters. And do you know the homeless fought with the police and didn't want to go? It was freezing outside and they didn't want help. Good luck with getting them "permanent" housing. 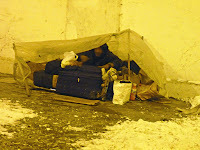 You will have to screen them very good, because not all homeless are able and willing to stay in "permanent" housing. That happens here too. There are chronic homeless that won't accept shelter even in sub-zero temps. Condemning people becuase they dont want to live the life you do does nothing. Often with 'permanent or temporay' housing comes rules and regulations that few humans even law aiding would find unpleasant to deal with. Removing peoples choice and ability to provide for themselves is the real problem instead of forcing people into temporary shelters rehabilitation and transformative programs should be put in place to help these people provide and care for themselves. People living in harsh conditions on the streets is clearly the signs of a systematic failure of society and our city as a whole. Emmanuel has shown he clearly he is the problem. 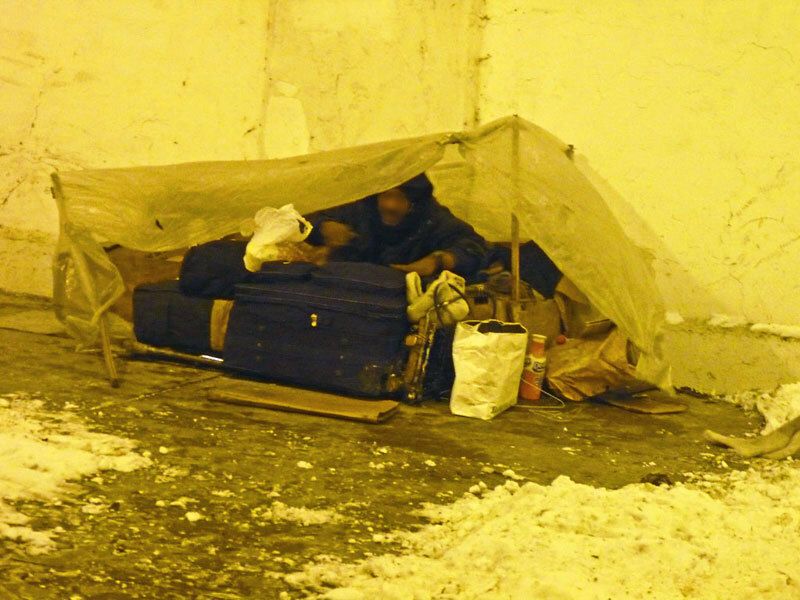 Laura F. Heller claims, "There are chronic homeless that won't accept shelter even in sub-zero temps." The yellow journal, trueslant.com was one of those responsible for the propaganda blitz against Lawrence House and its residents, which began on 3/9/2010. One can shout a falsehood from the highest mountain top; one can transmit a falsehood via smoke signals or the internet; and one can "slant" a falsehood all one pleases--but a falsehood remains a falsehood. What's the saying? "Beggars can't be choosers"
Whatever the causes, the viaducts shall not be taken by them. They need to go and be willing to seek help. ThisGirlThinks, thats how societies work if their citizens so choose. Why not uplift your community and those that are apart of it. Stop and think what could possibly have occurred in someones life that they would have such distrust to refuse help when they are homeless. Quite possibly they have been 'helped' before and what help they got wasnt sufficient or proper, maybe they were abused or taken away from loved ones. Simply becuase someone has less than you is suffering doesn't mean they shouldn't have a stake in what is best for them and certainly it shouldn't mean forcing people into subpar halfway funded programs often with incompetent leadership. Bring good to your community and those less fortunate its better for all of as a society. One of the commenters on the prior homeless in the Lawrence Avenue viaduct story mentioned that the homeless only have to go one block to access toilets at Weiss hospital. They, with their knowledge of the homeless services in Uptown, should have mentioned that Weiss Hospital - one block from the Lawrence viaduct - one of Uptown's designated pickup locations for homeless services. In short, any homeless person can walk into the Weiss emergency room, identify him or herself as homeless and needing shelter and the city will locate a bed and pick them up and drive them too it. I don't see anything in Emanuael's press release that gets to the heart of the problem, ie. 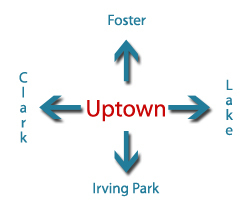 concentration of homeless services in Uptown. When the city makes homeless and low income services available across the entire city - as federal funding regulations require, there won't be any need for people who want to access free services to move to Uptown. They won't have to reject other housing offers and stay on the wait list for years to get an Uptown housing unit near all the freebies. And, they won't have to camp out in the parks and viaducts to get those services in the meantime. The City needs to stop using Uptown as it's leper colony. It causes homelessness in the Uptown area and it destabilizes the people who have to leave their own communities to live on the streets to access services. Period.